Matsushima Kaigan Station on the JR Senseki Line. This is the closest to Matsushima's main attractions. 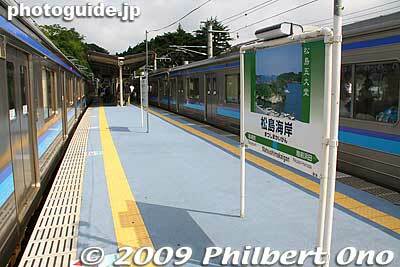 Note that there is also a Matsushima Station. Don't get off there.